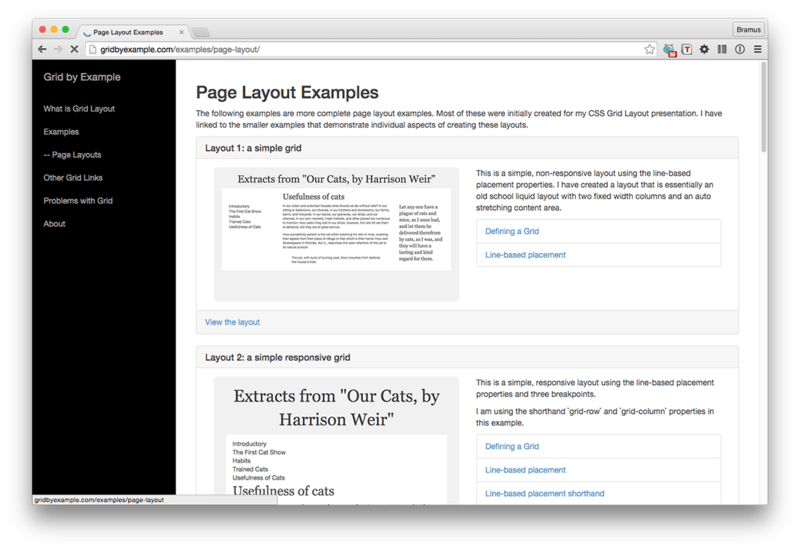 I have been writing and speaking about the CSS Grid Layout Module for some time now. In order to learn how Grid works I’ve put together lots of small examples, and I am publishing them here as a resource for anyone else interested in this emerging specification. Great to see these all bundled up on one website.